CMC Markets, one of the leading providers of spread betting and CFD trading, has announced that they will be joining Land Rover BAR as Official Partner to help bring the America's Cup home. The America's Cup is the oldest international trophy in world sport, pre-dating the modern Olympic Games, the Ryder Cup and the World Cup. The America's Cup started in 1851 with a race around the Isle of Wight, and Britain has yet to win it. Land Rover BAR begin the challenge to win the 35th America's Cup at the Louis Vuitton America's Cup World Series Portsmouth this weekend. It will be the first stage of competition for the 35th America's Cup, which concludes in Bermuda in 2017. As part of the agreement CMC Markets also becomes an Official Partner for the Louis Vuitton America's Cup World Series Portsmouth. The event will host six teams, comprising of the world's most talented and successful sailors, racing in foiling AC45F catamarans - which 'fly' above the water - close to the shore off Southsea Common. 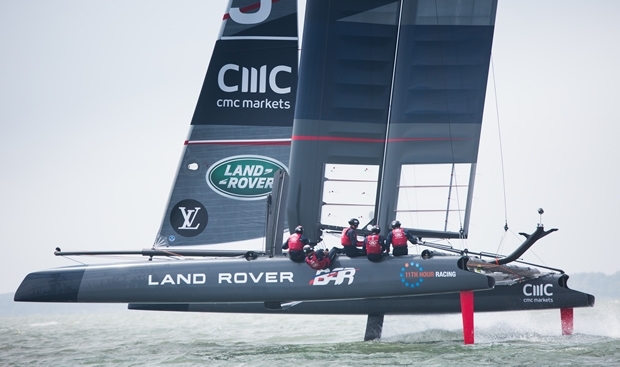 Peter Cruddas, Chief Executive of CMC Markets, said: "We are delighted to announce our sponsorship of Land Rover BAR to compete in the America's Cup over the next three years. The team has a true pioneering spirit and demonstrates constant innovation, matching the ethos that CMC Markets stands for in the trading industry. This is a first class sporting event with some of the world's best sportsmen and the most innovative technology for boats around the world and we're proud to be part of the UK's historic chance at a Cup victory." Ben Ainslie, Team Principal of Land Rover BAR, said: "It is fantastic for us to have CMC Markets on board as Official Partner, I'm sure we can help them build their brand around the world through our challenge to bring the Cup home."